007, M, an Avenger, Prince Vultan, Judge John Deed, a Prime Minister and a lion-hearted lady unite to Battle for Badgers. Sir Roger Moore, Dame Judi Dench, Joanna Lumley, Brian Blessed, Martin Shaw, Anthony Head and Virginia McKenna OBE are among over one hundred celebrities, scientists, naturalists, veterinarians and leading animal welfare and conservation groups to have signed a statement calling on the Government to stop the badger cull. In a plea for compassion, the signatories ask the Government for its policy of killing to be abandoned and replaced with more scientifically credible, humane and effective solutions to tackling bovine TB (bTB). Two pilot culls intended to test the safety, efficacy and humaneness of killing badgers by free shooting or cage trapping and shooting are planned to begin any day now for a period of six weeks in undisclosed areas of West Somerset and West Gloucestershire. If deemed successful, these plans could then be rolled out further, throughout the West Country to Derbyshire and the Midlands, in the mistaken belief that killing badgers will have a significant impact on the spread of bTB. Up to ten licences will be issued each year for four years, possibly resulting in the killing of as many as 130,000 badgers according to Natural England. The signatories stand in solidarity with 263,000 members of the British public who have so far signed the Stop the Cull petition launched by astrophysicist and rock guitarist Dr Brian May. It is the most successful ever H.M. Government e-petition. 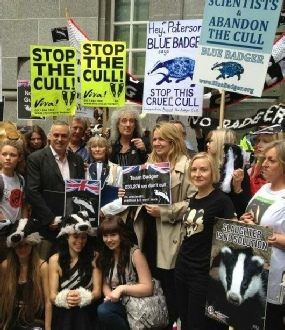 Brian May founded Team Badger whose member groups including Save Me, the League Against Cruel Sports, IFAW, Humane Society International/UK, Blue Badger and the RSPCA, have been joined by a host of other organisations adding their support to the joint statement, such as the RSPB, Woodland Trust, People's Trust for Endangered Species, Greenpeace and Friends of the Earth. Their joint outreach is to approximately four million members of the public, who subscribe to these organisations in order to protect wildlife and conserve the countryside for future generations. (A full list of signatories is below). "On behalf of supporters of the Save-Me campaign and 263,000 signatories of the anti-badger cull petition on the Government's website, we would like to remind the Government that there is massive public opposition to this ill-fated cull, which, it is becoming ever more clear, will not be of any advantage to cattle or farmers. The Government is acting, for political motives, on a course which cannot succeed in eradicating Bovine TB. We urge David Cameron to take positive action to accelerate progress towards vaccination of wildlife and, most importantly, vaccination of the source of bTB in this country, cattle, along with full review of the skin test method of removing supposed reactive animals from herds, and an overhaul of biosecurity and movement control measures." “Ten years of study, the leading scientific brains, all said the cull of badgers will do nothing to improve the condition of cows and more importantly the status of bovine tuberculosis in the British Isles. This cull is a travesty –do not let it happen. 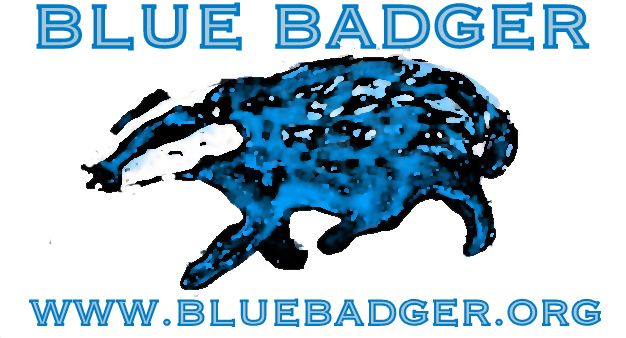 The organisations within Team Badger and the Badger Trust which has issued this news release on behalf of all signatories, care equally about badgers and cattle and do not believe a cull is the answer to bovine TB. Science shows that a badger cull will be of little help in reducing this disease in cattle and yet at least 70 per cent of the badger population – the majority of which is likely to be healthy - will be wiped out in the pilot areas, a virtual elimination of this iconic British species. This cannot be allowed to happen.